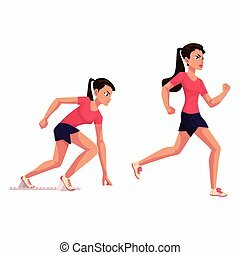 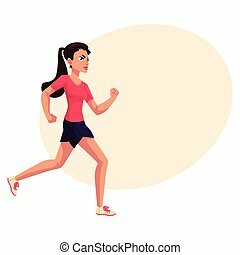 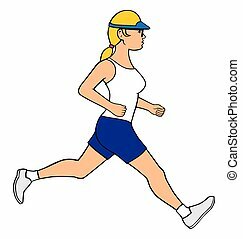 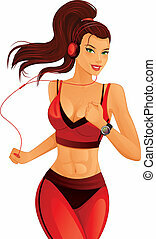 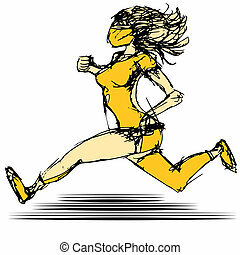 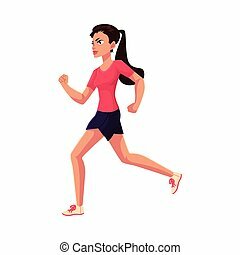 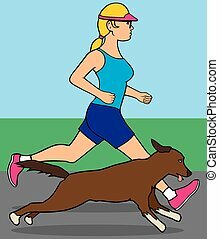 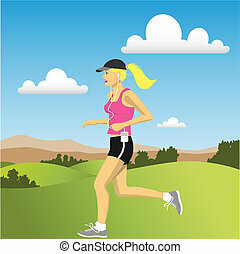 Female jogger. 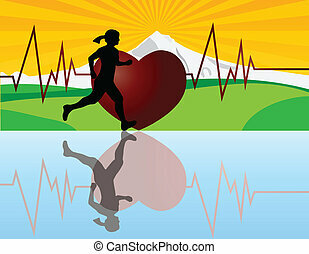 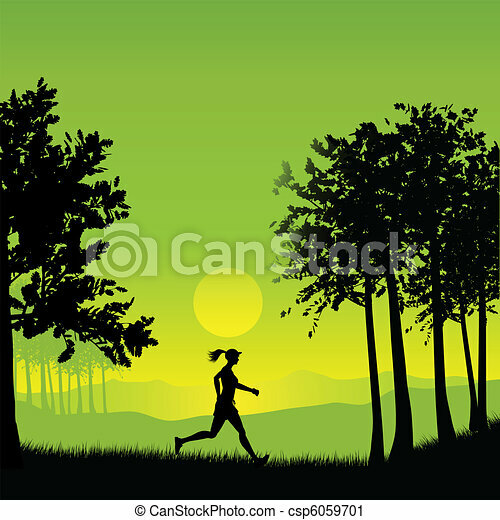 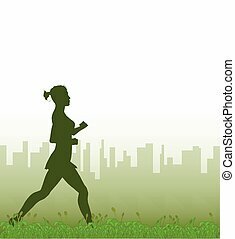 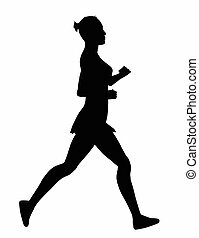 Silhouette of a female jogging in the countryside. 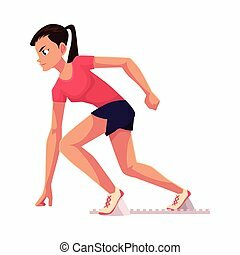 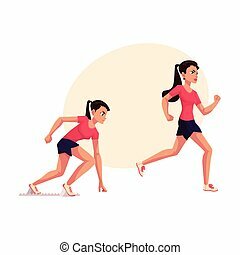 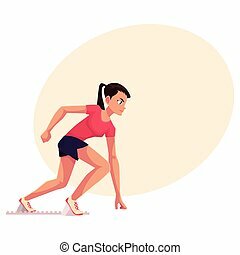 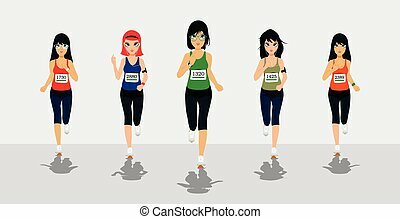 Female runners running competition with white background.